Stanley Lambchop is a character from Jeff Brown's 1964 book, Flat Stanley. Stanley was a normal boy who got flattened when a bulletin board fell on top of him while he lay sleeping in his bed. Stanley survived the near-tragedy but was rendered flat - altered for ever. Although one may imagine this to be a tragedy, it wasn't all bad because Stanley's flattened state allowed him to travel the world very economically - in an envelope. 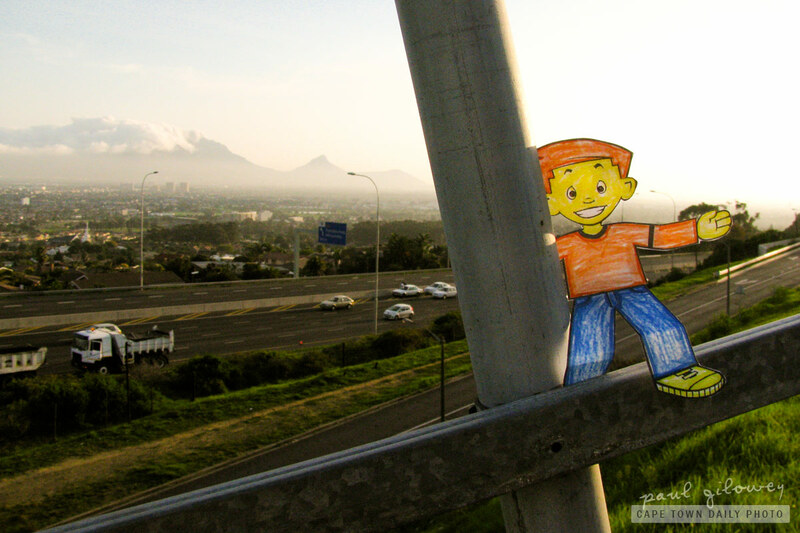 Cristin (class mom of her son's first-grade class in New York) sent Michael M's flat Stanley for a visit to Cape Town and this photo is from a small outing that we went on to show Stanley Table Mountain at sunset. On the left, in the distance, is Table Mountain covered with it's well-known table cloth, a sheet of cloud that often covers the mountain. 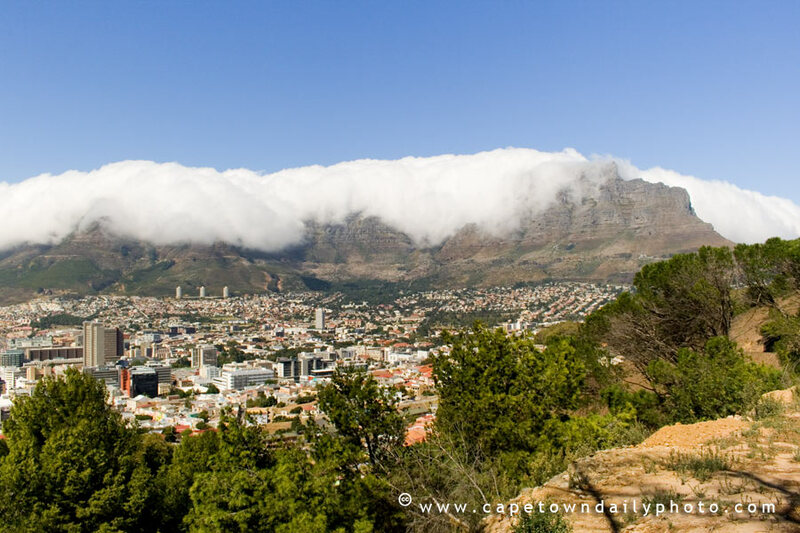 If you haven't seen her up close before, click here to see Table Mountain without its cloudy covering. To the right of Table Mountain is Lion's Head (so named because from a particular angle it looks somewhat like a lion's head), and a smaller hill known as Signal Hill. Posted in Landscape and tagged sunset, table mountain on Monday, 30 May, 2011 by Paul. The pics are great!! Thank you so very much!!! I am so excited to bring this into the classroom on Tuesday and share Stanley’s adventures in Cape Town with the class. I am printing this blog post as well! Thank you!!! We’ll send a proper thank you within the next couple of weeks!